Recently, our Editor-in-chief pointed out that the prices for N64 games were completely ridiculous. Junk puzzlers like Tetrisphere retailed for nearly $70; major releases like Turok and Killer Instinct Gold cost even more. Cartridge manufacturing and the increased cost of development were a deadly combination, and amassing a sizable collection of N64 games was a costly proposition. But while the prices bordered on astronomical, the cost isn’t really what I remember about that era. For me, it was a glorious time to buy video games, high prices and all. 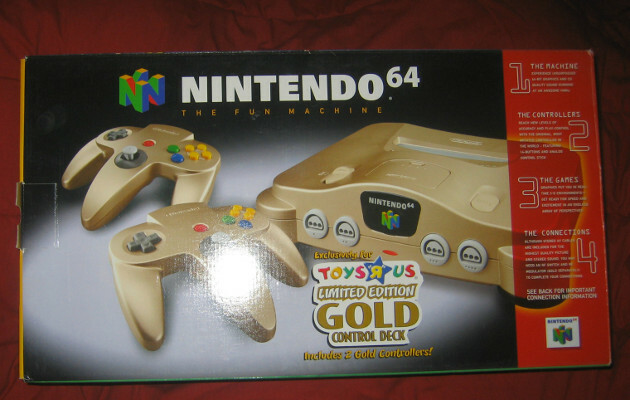 The Nintendo 64 launched in 1996, smack in the middle of my baby-sitting prime. Within a year of its release, I had an actual job and actual paychecks, all of which I could use to spend on video games. I made minimum wage and could only work 20 hours a week, but that didn’t matter. For the first time in my life, I had a disposable income, and no shortage of games to spend it on. In 1999 — the year games like Super Smash Bros., Donkey Kong 64, and Pokémon Snap were released — I started working at Toys “R” Us. They paid me a then-incredible $6.60 an hour, and gave me all the hours I could ask for. More importantly, they gave me a 20% store discount, which I was free to apply to video games. Pokémon Snap was a $70 game that offered about 2 hours of gameplay, but that didn’t bother me in the slightest. It wasn’t just that I didn’t have to pay full price, although that certainly helped. It was that I felt as though I had an endless supply of spending money. I had some expenses — food, clothing, dance classes — but none of them seemed very pressing. When I saw a game I wanted, I bought it, regardless of its price. I’ve held onto my disposable income, but I’ve completely lost that lack of guilt. Nowadays, I obsess over video game purchases, and I hardly ever buy games on impulse. I used to plop down hundreds on games like it was nothing; now I can’t bring myself to grab $5 titles off my Steam wishlist. In the grand scheme of things, I know my increased level of responsibility is a good thing. I make way more than $6.60 an hour, but my money still disappears pretty quickly. I barely have time for the games I own already; dropping precious cash on new titles is probably a bad idea. Still, I can’t help but miss that time and the feeling that any game could be mine in an instant. The cost of games was too damn high, but I was never concerned with prices. I took chances, tried new things, and made some incredible discoveries along the way. It was a great time to be a gamer, ridiculous prices and all.